My Commentary is: Stevenson will continue to play well. I feel that Wilkes does not have enough fire power right now to challenge this much improved Mustang team. The Mustangs are on a mission to win the MAC Championship. They are well coached by 5th year head coach Ed Hottle. Wilkes could play like they did against DelVal. Wilkes is under the capable hands of head coach Trey Brown, but I am not seeing that intensity there. Another win for Stevenson. My Commentary is: Let me explain right off the bat that I see the statistics. I know that Widener leads in many of the MAC year -to-date stats as compared to Lycoming. But I also know that Widener is on the decline from where they were last year. This year the Pride is inconsistent on offense. 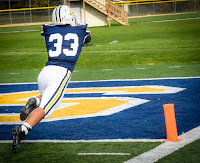 Widener has had tbeir way with the Warriors, last year defeating Lycoming 34-17. 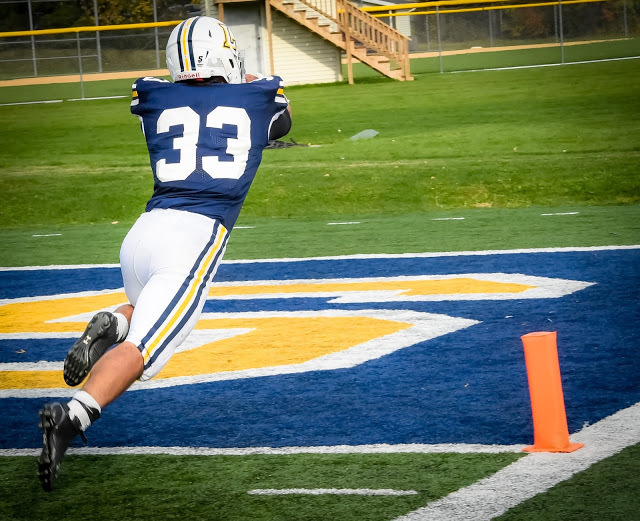 In 2013 Widener defeated the Warriors in a classic 16-14 win. Classic memorable games are the norm between these two teams. But I believe Lycoming is improving and has turned the corner with this young team (only 12 seniors). Maybe Lycoming is not improving enough for this upset win, but I am going on a hunch here! Watch out for Lycoming's running attack in Jr. Blake Bowman. Game goes to Lycoming in a close one. My Commentary is: This should be a great game to watch. The "Valley's" are very good teams, but I feel that Delaware Valley's defense is so good that they will control this game. They are lead by sophomore defensive back Sean Miller who single handedly won the game for the Aggies. 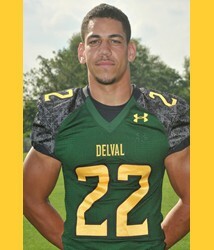 A 100 yard pick six and a touchdown saving tackle at the DelVal one yard line still are etched in my mind. Lebanon Valley has an up and coming offense with sophomore Tim Pirrone (still listed as a wide receiver) The Dutchman are still struggling on the defensive side of the ball right now. The Aggies have had trouble scoring from the red zone, but they are sorting this problem out as demonstrated at Albright. This game goes to the Aggies. My Commentary is: Misericordia has been struggling all year and unfortunately this game will continue those woes. 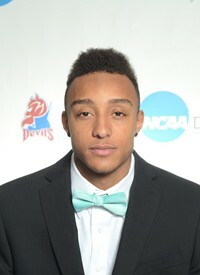 FDU-Florham has quality two quality wide receivers in junior Esaun Mobley and sophomore Malik Pressley. Throw in senior quarterback Tyler Maurer who can find his receivers and you have a offensive capable of scoring from anywhere. They can put up points in a hurry and will in this game. Last week Maurer threw the ball a school record 62 tinmes against the Warrior defense. Even though FDU-Florham is one dimensional, they win their third game of the year.